Add some fun to your Pesach seder this year with the Emoji Haggadah! If there was an award for most unique haggadah, that would certainly go to The Emoji Haggadah by Martin Bodek. An emoji is a graphic symbol that represents an idea or concept. From smiley faces to coats, animal and more, there are thousands of emojis in use. In his haggadah, Bodek uses emojis to replace the words. The job of the reader is to translate those emojis back into their native language. It’s a cute concept and an interesting approach to pique the interest of someone who may not be so attracted to a traditional haggadah. While this haggadah is likely best for the under-35 crowd, it could also be a great way for grandchildren to interact with their older, and often emoji-oblivious grandparents. For those involved in Jewish outreach, The Emoji Haggadahcould be quite effective in creating a non-threatening approach to the Passover experience. One of the children mentioned in the Haggadah is the one who does not know how to ask a question. At the seder, try using The Emoji Haggadah and you may find out they do indeed know who to ask. It’s just a matter of finding the right approach to use, and for some, The Emoji Haggadah could be that approach. 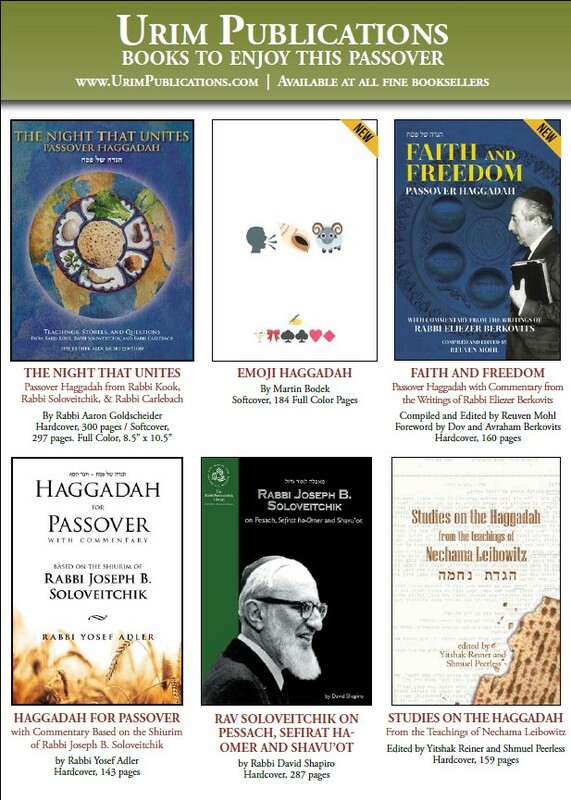 Last week, I mentioned the Haggadah shel Pesach with commentary by Rabbi Eliezer Berkovits, entitled Faith and Freedom. The editor of this anthology of Rabbi Berkovits’ many writings is a scholar named Rabbi Reuven Mohl, and he is to be commended on a job well done. I recently had occasion to review the Passover Haggadah Graphic Novel, which represents a novel approach to the traditional Seder text. Almost immediately upon completing this task, another unusual take on the Haggadah was brought to my attention for potential review: Martin Bodek’s The Emoji Haggadah. If a Haggadah in graphic novel format strikes you as outside the box, rest assured that an all-emoji Haggadah not only leaves the box, it folds the box up neatly and puts it outside for collection. It’s a Haggadah. Written in emojis. Completely.